These stones are a good pink - and a good size too ! 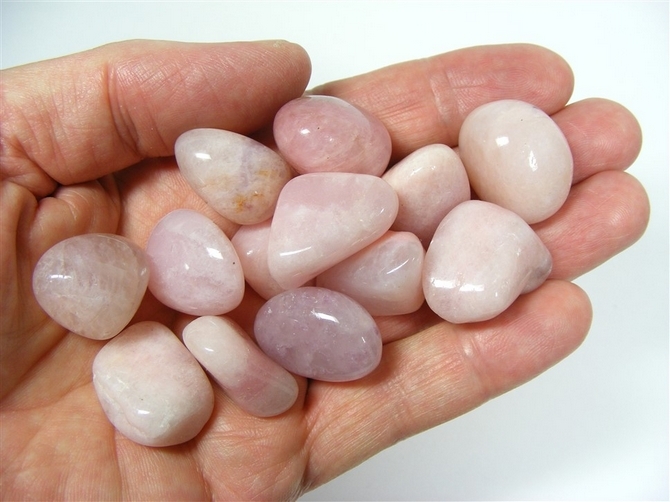 Quite often Petalite just has a shade of pink to it but these are lovely stones with a definite pink colour. 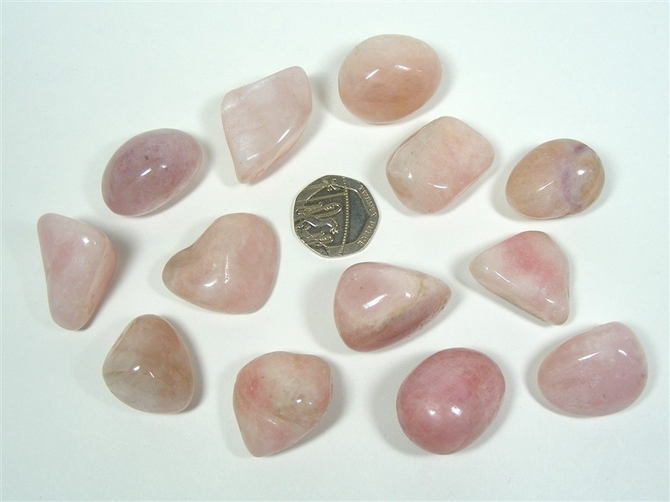 Pink Petalite is a very protective and spiritual stone and is often called "The Stone of the Angels". Petalite is believed to help increase the flexibility of both our muscles and our skeleton. It is said to help cleanse the lungs and the intestines and to balance our endocrine system. Some people believe it to be supportive for those going through the experience of cancer or AIDS. Petalite is a calming and stress relieving stone. Petalite is both a very spiritual and a very protective stone. It provides a safe environment for spiritual contact and helps us in connecting with our spiritual guides. It is sometimes referred to as "A stone of the Angels" as it can also help to make better and more meaningful angelic connections. It provides us with strength and protection during astral travel and can attune the physical plane to the spiritual plane. In meditation, Petalite can help us to achieve the "No-Mind" meditative state. Working with Petalite, we are better able to see auras. Petalite also combats negative energy in general and can be extremely useful in shielding us from the effects of spells made against us and from the effects of black magic. Petalite also stimulates clairaudience, clairsentience, clairvoyance and telepathic communication.